Hello friends. 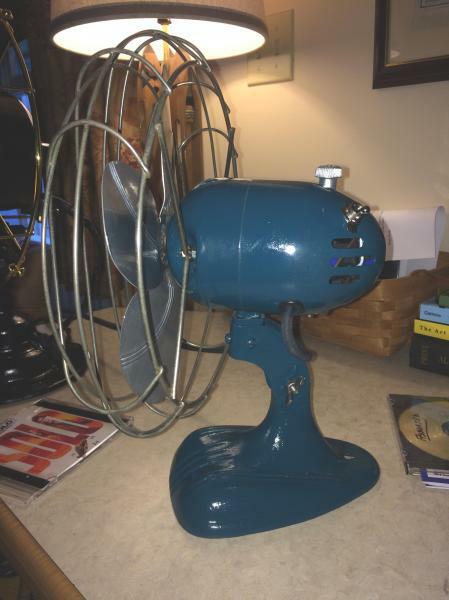 My wife found this cute little Dominion Electric Company fan (originally battleship grey) at a flea market for $23 and asked me to clean it up. 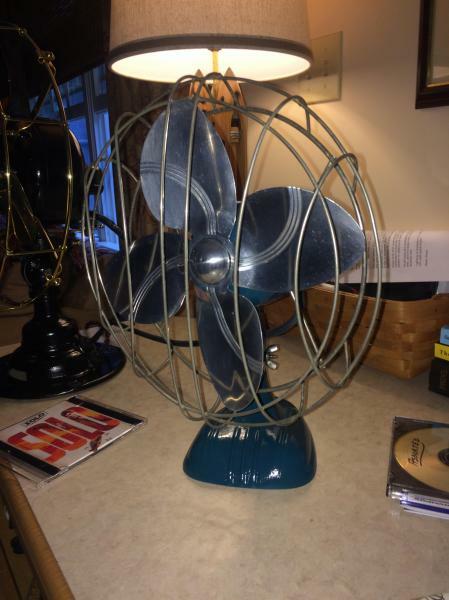 it wasn't working or oscillating but now it works perfectly. Can anyone provide date of manufacture or any other interesting information? The keyhole in the back of the base leads me to believe that this was meant to be hung on a wall. Page processed in 0.1883 seconds (36% database + 64% PHP). 27 queries executed.